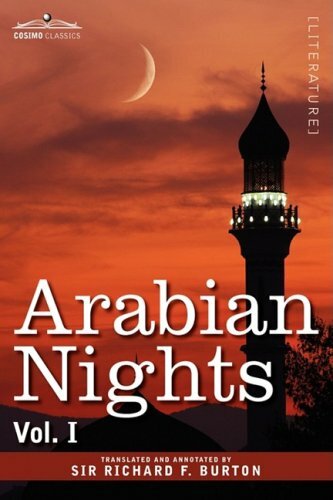 This 16-volume translation of The Arabian Nights made its translator SIR RICHARD BURTON famous. Notorious for the delight he took in tweaking the sexual taboos of the Victorian age-as well as the delight he took in the resulting shock of his bashful peers-British adventurer, linguist, and author CAPTAIN SIR RICHARD FRANCIS BURTON (1821-1890) is perhaps best remembered for his unexpurgated translation of the Eastern classic The One Thousand and One Nights, more famously known today as The Arabian Nights. It represents one of the earliest examples of a framing story, as young Shahrazad, under threat of execution by the King, postpones her death by regaling him with these wildly entertaining stories over the course of 1,001 nights. The stories themselves feature early instances of sexual humor, satire and parody, murder mystery, horror, and even science fiction. Burton's annotated 16-volume collection, as infamous as it is important, was first published between 1885 and 1888, and remains an entertaining read.